P.S.M. student David Bailey has been working on the Falling Water River Watershed project funded by the Tennessee Department of Environment and Conservation under the direction of Tania Datta in the TTU Water Center. 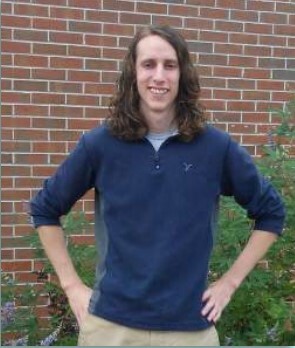 David is utilizing his GIS skills and database management knowledge to compile and create a geodatabase (a collection of spatial databases) of numerous sources of data from different agencies involved in the management of the watershed. 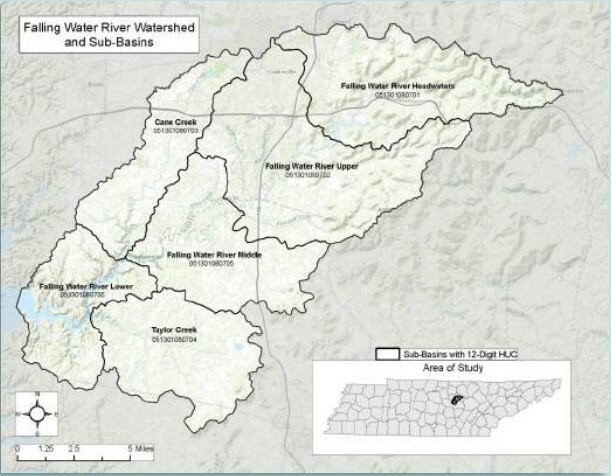 The Falling Water River watershed includes the City of Cookeville and has a number of impaired tributary streams with water quality issues that could be improved for current and future users. The goal is to achieve a product which can be utilized by different organizations that have an interest in the watershed as a means to search, acquire and share available data detailing the watershed. The geodatabase will improve the efficiency of watershed management by making data available to researchers, managers and other key stakeholders.